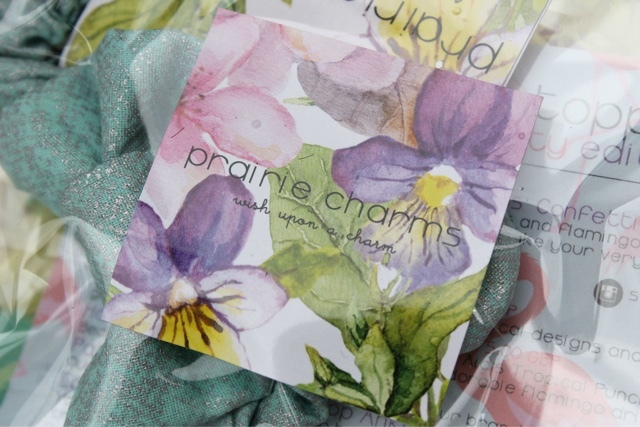 Prairie Charms are a "completely handmade accessories boutique specialising in all things girly, floral, quirky and whimsical". Doesn't that just sound like a bloggers paradise? The latest project the team at Prairie Charms HQ have been working on comes under the name "The Prairie Pizzazz". It's a monthly accessory and lifestyle box that comes full to the brim with beautiful bits and pieces that all fit into that particular months theme. Last month (with assistance from their team of bloggers) the theme of "Festivals" was chosen and this month it was the turn of "Luau Party". This was my first introduction to the Prairie Pizzazz concept (although I'm not too late to the party; this is only their second box) and I have to say I'm super impressed! 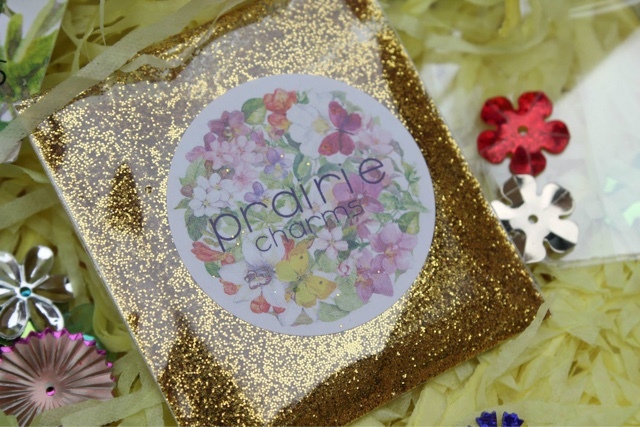 I'm lucky enough to be part of their bloggers team and my eagerness to get my hands on one of the boxes has just grown and grown as the month has passed and I've received box development updates from Prairie Charms HQ. Yesterday delivery day was finally here and I can't even begin to explain the excitement I felt when my box reached my doorstep. I'll be honest with you, I fell in love with the box as soon as it reached my front door. 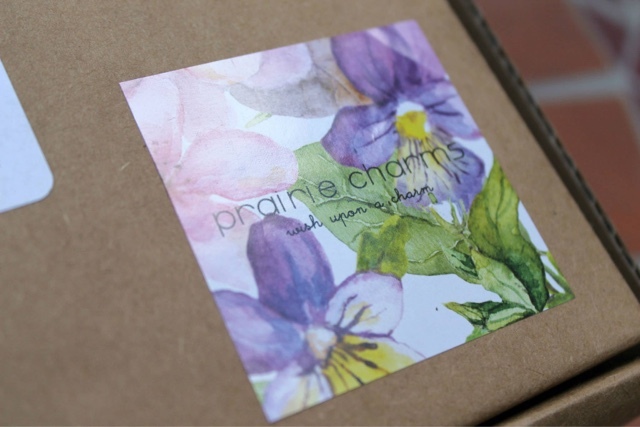 It's clear that - unlike some subscription box companies - the Prairie Charms team have taken a great deal of care with every single element of their box, including their packaging. Each box is a takeaway pizza style, which is so different to your more traditional subscription boxes. 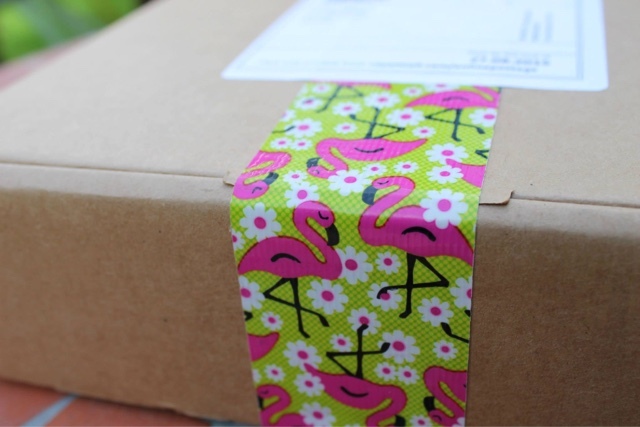 The box is wrapped with a brightly coloured flamingo-print tape and although this may rest a little bit on the simple side of packaging, it's the simplicity that makes it so beautiful. 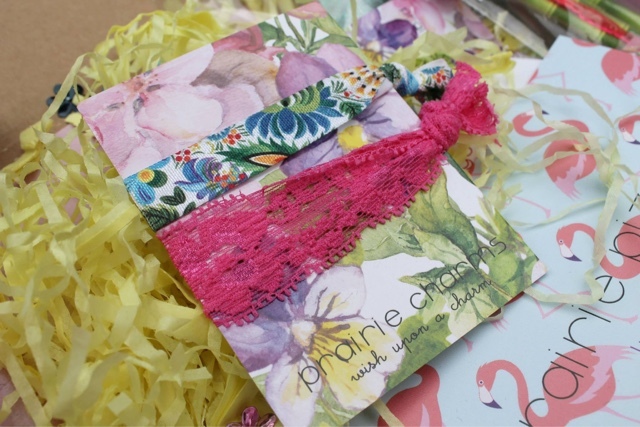 The colours are sure to, quite literally, brighten up the postman's day so it's happy faces all round isn't it? Their attention to detail continues when you delve inside this little box of wonder. The contents is wrapped up in tissue paper and inside you'll find sequins galore, which definitely adds lots of 'pizzazz' to the box. 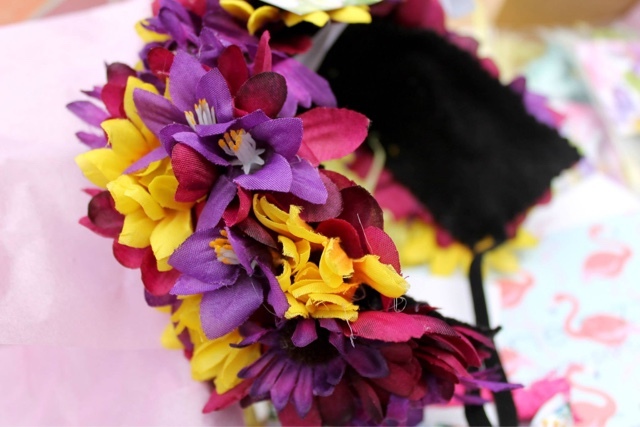 Arguably the feature piece of the box was the Eda Bespoke Floral Lei. Can we just pause for a minute and admire the beauty of this piece? To be honest, I'm not a huge fan of the flower crown trend overall but if there's anything that's going to convert me, it's this. It's the perfect piece to give your wardrobe a colourful wake-up call and each lei is unique so there's no chance of a fellow hula girl rockin' up to the luau in the same style. I didn't get to show my admiration for this particular gift for too long, however, as it was quickly nabbed by my flower-power fan of a little sister. I'll let her off on this occurrence though as she did make a beautiful model. The next little package that caught my eye contained two Caterina No Snag Knot Ties. This sort of thing makes the perfect pretty alternative to your traditional elastic bands, and it's a darn lot better for your locks. I've always been the kind of girl to leave my hair down and flowing so I'm going to be popping them on my wrist to jazz up the more simple outfits. We were lucky enough to have not just two but four hair accessories included in this box. The Lei and hair ties were followed by a Hana Bow Tie Scrunchie and a single Faryn Hair Clip so you're bound to find something that floats your boat, no matter what your hair-style preference tends to be. One of my favourite pieces in the box was the Paloma Vintage Bead Drop Anklet. I'm a massive fan of anklets and I think they look just beautiful this time of year with midi-skirts, if you're willing to go bare-legged. I have absolutely no doubt you're going to be seeing this piece in future outfit posts so keep your eyes peeled. 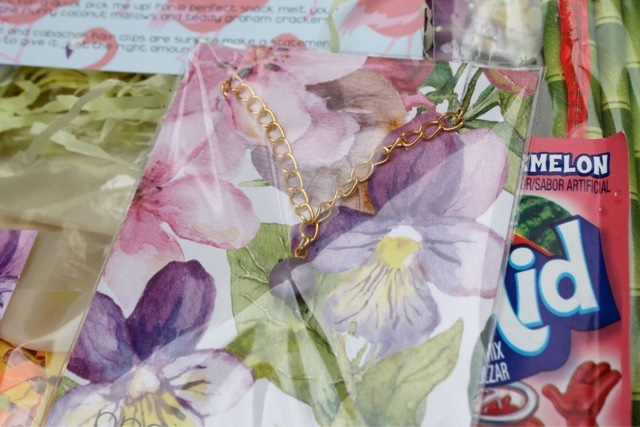 The Prairie Charms team have a special trick up their sleeves with their pizzazz boxes, in the form of of cute and simple DIY projects. 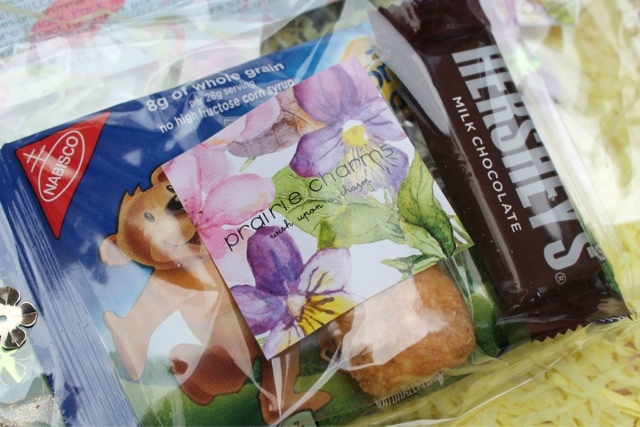 Each package contains at least one easy peasy project, in keeping with the box theme of course, to get your creative juices flowing. In this box I received the Acadia Tropical Punch Drink Set, which contains everything you need to create a beautiful tropical beverage to enjoy whilst you hula the night away. I also received the Sweet As Honey Studio Make a Mess Confetti, to help in the decoration department of your party preparations. To continue your creative flair, there's also a teeny tiny pack of Dakota Custom Nail Glitter. After all, what's a party outfit without a bit of sparkle? My go-to party nail look tends to be a splash of colour with a twinkle of glitter, so this little gift was right up my street. 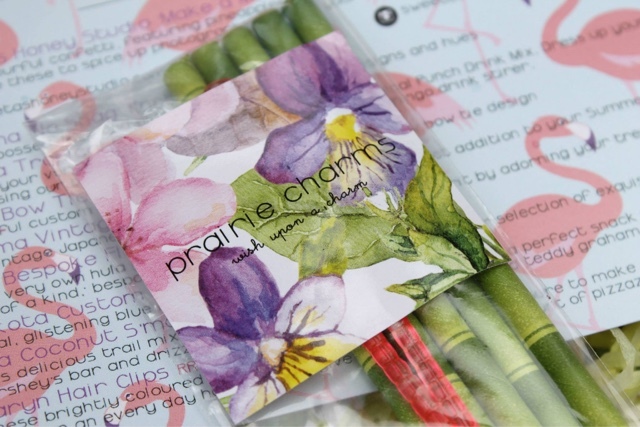 Now the prairie pizzazz boxes don't just contain fashion accessories and DIY goodness, oh no. I also received a Una Coconut S'more Snack Pack, which would make a perfect post-luau party midnight feast. 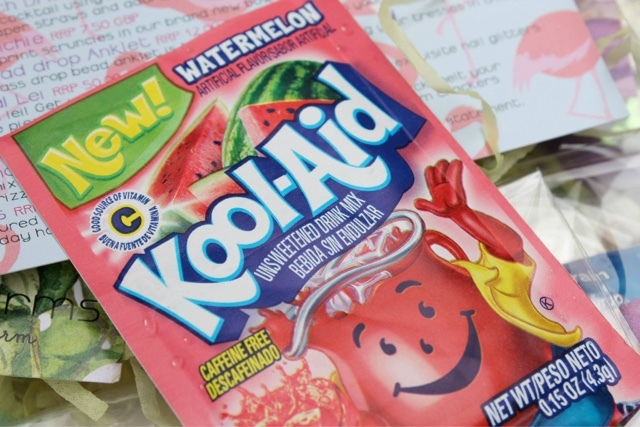 This would go hand in hand with the Tropical Punch drink to get your tummy in the Luau party spirit. It's fair to say that the Prairie Pizzazz Luau Party Edition ticks every sparkle-filled box. 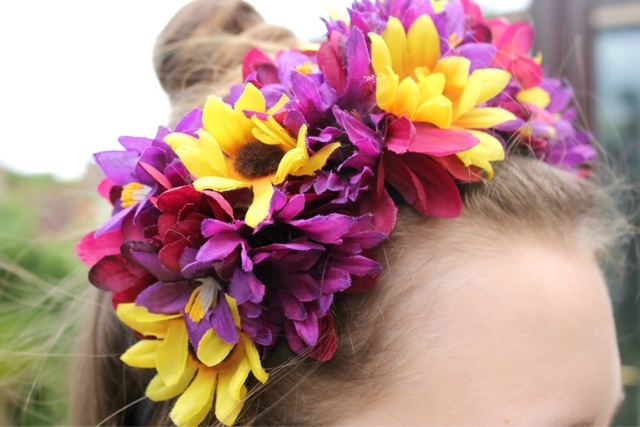 I take my new Lei flower crown off to you Prairie Charms, you've done a grand job. Where do I sign up for the next one? 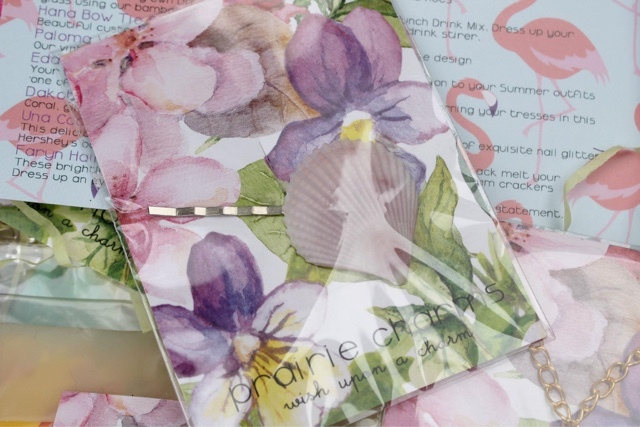 If you're keen to get your hands on a Pizzazz box, you can find the treasure trove that is the Prairie Charms website here. They typically retail at around £35.00 (plus delivery costs) but you receive over £75 worth of gorgeous pieces. 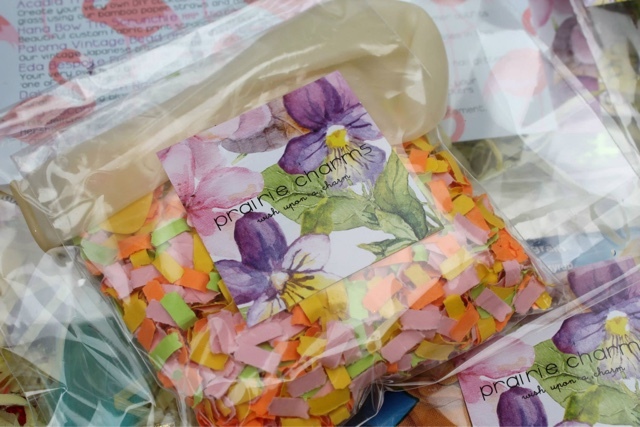 Prairie Charms also sell a gorgeous range of jewellery, hair accessories and more - including many of the products that can be found in the Pizzazz boxes - if you're just after a single product or two. This post is lovely Chloe! The stuff you got is so cute! I am just about to tag you in a challenge post over on my blog and I would love to see your response!